President Woodrow Wilson worked to keep the United States out of a quickly growing war in Europe; the Germans were fighting hard to gain further control of Belgium and were just concluding their victory in Warsaw. 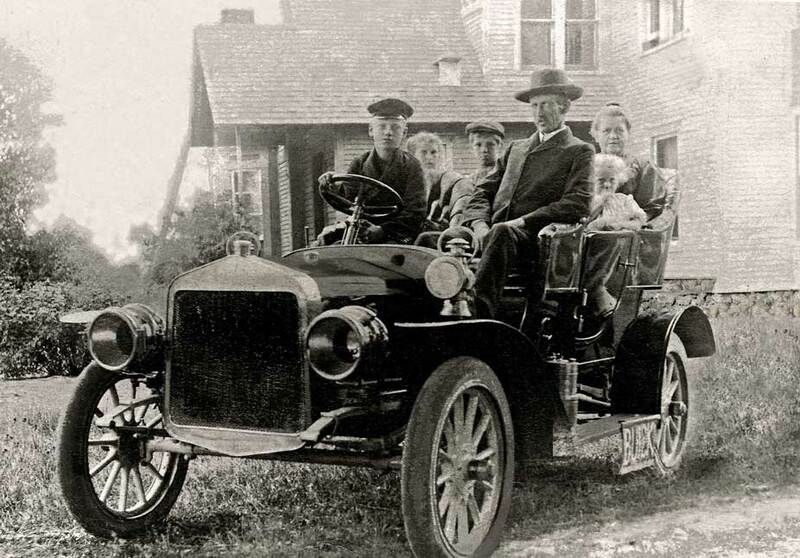 The U.S. Post Office had just announced the start of delivery by automobile. Movie-goers flocked to see Charley Chaplin on the screen. Two British expeditions were in route to the Antarctic Continent for purposes of survey and mapping. The Boers in South Africa had begun an uprising against British rule. The week also marked the birth of the Welsh poet, Dylan Thomas; the American actor, Jackie Coogan; and of my father, Kenneth Fredrick Yonker. Kenneth was the third generation of the Yonker (Jonker) line to be born in the United States of America, specifically in Ottawa County, Michigan; he followed his father, Lawrence and his grandfather, Fredrick. That line began in the United States with their Dutch immigrant ancestor, Lambert Jonker. along with several brothers and sisters had emigrated from near Uithuizen, Groningen in the spring of 1853; he was single, about 23 years of age at that time. The small group first stayed in the Chicago area where a few fellow Groningen immigrants had recently settled but in short time, they continued on to Ottawa County, in western Michigan. 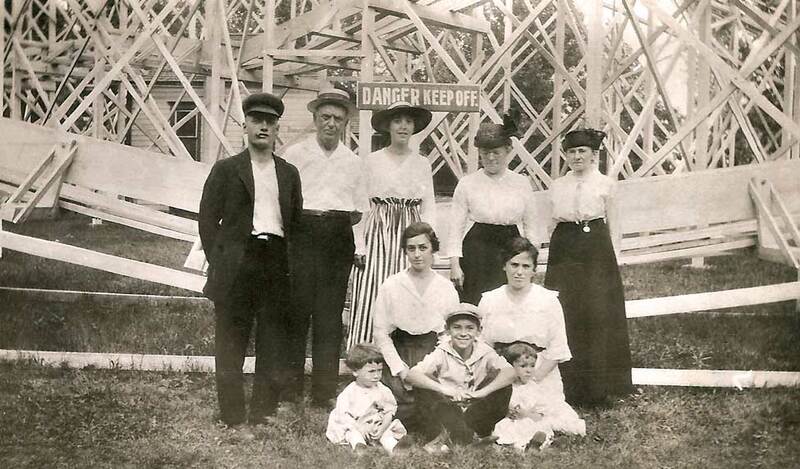 The family group first stayed in the small lakeshore town of Grand Haven. Lambert’s twin sisters and eldest brother Klaas made their homes there but brothers Gerrit and Lambert moved out in search of farming land. Reesena “Anna” married Jan “John” Danhof and Helena wed Simon Baar. Klaas married Jeanett Balk. Gerrit married Anje Walkes and over the years, they moved between farm and town but eventually settled into Muskegon, opening a small corner store on the corner of Third and Monroe Streets. Lambert chose to buy farmland in the rolling hills of Zeeland Township, Ottawa County just north of Vriesland. In about 1854, Lambert wed a local Vriesland woman, Geertruide VanVeen and together, they gave birth to nine children over a span of fourteen years. Their eldest child, Fredrick was born on 8 May 1862. Sister Joanna, born the year following Fredrick, would first marry Peter Danhof, and later Martin VerHage. Brother Jan “John” was third born in 1865, but sadly died of Typhoid Fever at the age of thirty. The next two sisters remained single and very close to each other throughout their lives: Trijntje “Kate” and Jantje “Jennie”. Hendrik “Henry” born in 1874, went on to become a medical doctor, moving to Winnipeg, Manitoba, Canada. 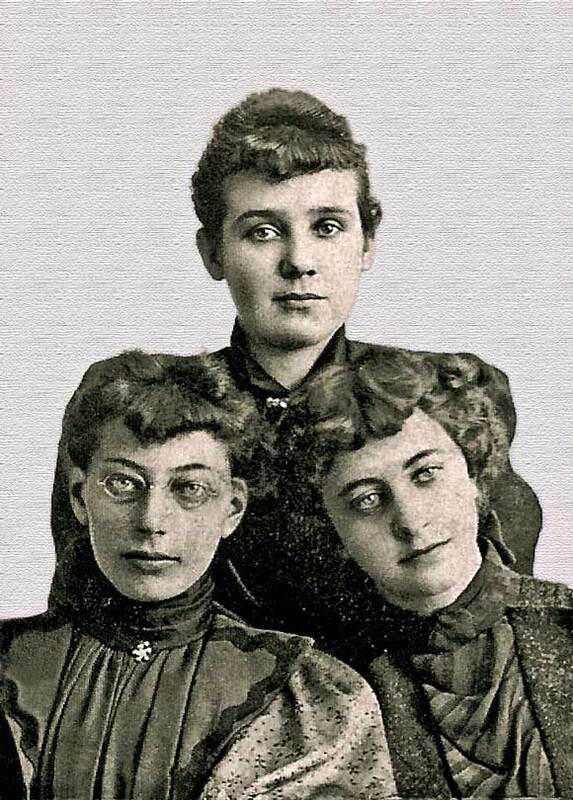 Lastly, the two youngest sisters married into a neighboring family; Geertruida Maria “Gertrude” was born in 1875, and wed John G. Hungerink, the youngest sister Helena, born the next year, wed brother, Gerrit W. Hungerink. Two other children died in early childhood. The family home sat on the farm which was established west of 68th Street, just south of present-day Chicago Drive. That farm would one day earn designation as a Michigan Centennial Farm, owned by the same family for over one hundred years and sets there still. Lambert filed the necessary papers to apply for U.S. citizenship, first in 1855 and then he filed the required “second papers” in October of 1860. In 1860, their new farm produced Indian corn, Irish potatoes and hay. The eighty areas of land was largely unimproved at that time, with only one horse for plowing, one cow for milk and ten pigs. 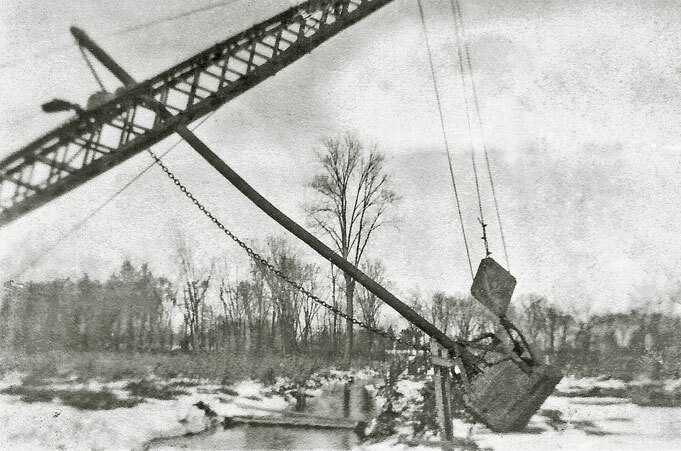 Lambert taught his son, Fredrick the skill of dredging and draining in the nearby Tamarack swamps. Together, they created some of the best muck farmland in the area and with that, developed an important celery growing business. Fredrick bought land in Georgetown Township, bordering VanBuren Street. 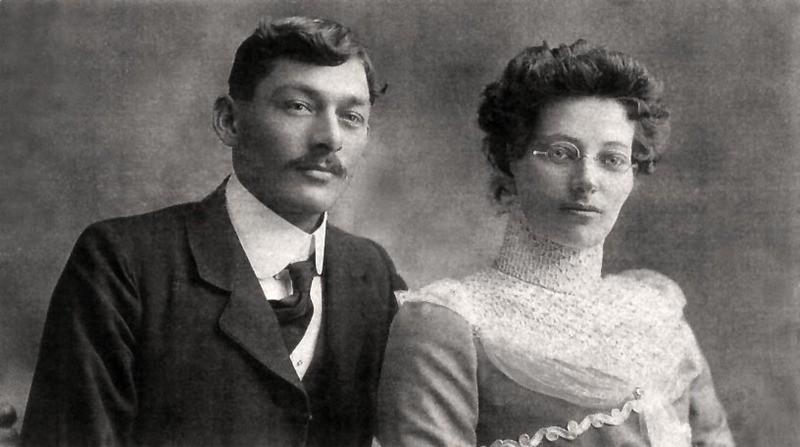 On 30 March 1893, he married Gertrude VanZoren. She was descended from a prominent Dutch immigrant family who settled on 88th Street when it was first opened to settlement. 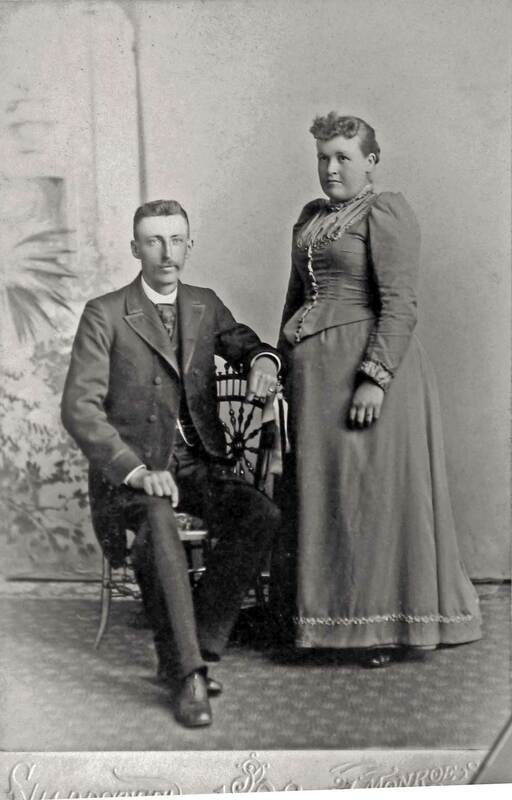 Both Fredrick and Gertrude were first-generation American citizens. Fredrick and his wife raised five children and yet, two others died very young. Their large, two-story, block home was framed by tall pines to the front and a large barn to the rear near to their celery farm, just west of the city of Hudsonville. Their eldest child, a boy was born in 1894 and was named Lawrence (my paternal grandfather). Two years later, Cornelia “Cora” was born. 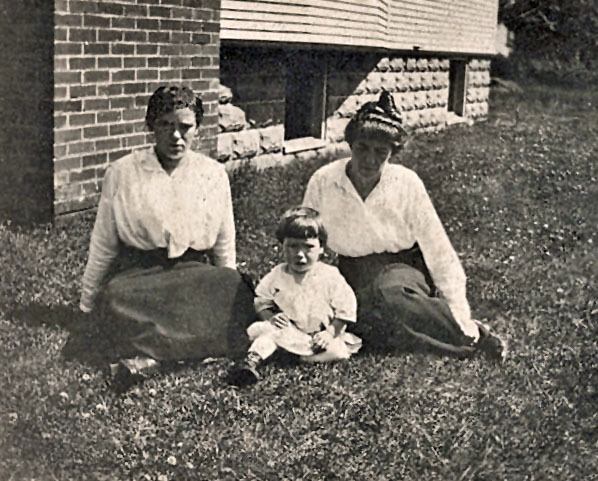 A boy named Ira was born in 1899, but died at the age of two. The next son born in 1902, was again named Ira. Gertrude was born in 1904 and lastly, Harold was born in 1909. The children were all baptized in the Vriesland Reformed Church, the home church of their immigrant ancestors. As the young family grew, both of Fredrick’s parents died; his mother in June 1901 and his father just thirteen months later. Fred in the doorway of his celery barn. Lawrence kneeling in front. 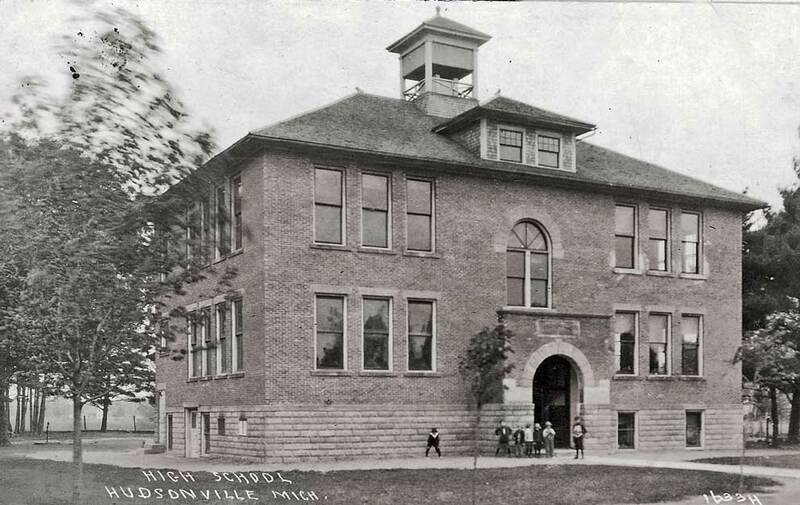 The Jonker’s progressed well and were successful farmers on Hudsonville’s west side. 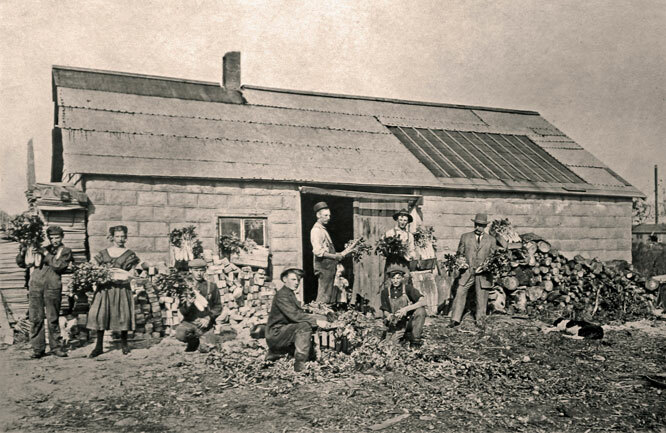 Down in the celery field, a single story wooden shed provided the space needed for trimming and packing celery for the wholesale markets. A professional photographer captured the family at work in a series of photos taken in about 1916. 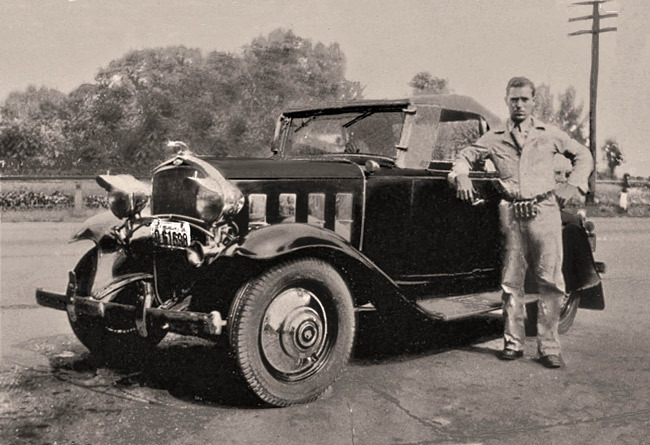 They were the first family in Hudsonville to own their own automobile and that passion for autos continued on to their present-day descendants. 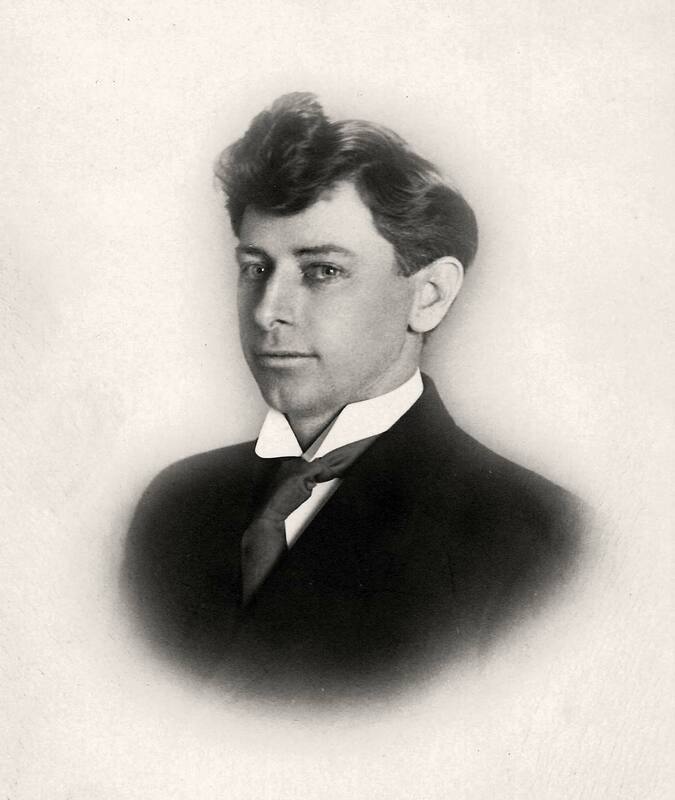 Fredrick was active in encouraging Dutch immigrants to move into western Michigan. He was active in local politics, writing to the road commission to improve the roads in his home area. Family stories state that it was Fredrick who changed the spelling of his surname from JONKER to YONKER, with the idea that others would thereby pronounce the name correctly; the spelling remains the later to this day. Fredrick had learned the skill of dredging the wet lands of Zeeland and Georgetown Townships from his father. Together, they created some of the best muck farmland in the area and with that, developed an important celery growing business. In early October 1918, the first resident of nearby Grand Rapids died of the Spanish Flu [A(H1N1)]. Soldiers returning to the USA from fighting in Europe were bringing the influenza epidemic with them. Within days of that first death, a statewide meeting was held with health officials. On the date of Kenneth’s fourth birthday, Governor Sleeper had ordered the closure of all theatres, churches, movie houses and lodges; all non-essential public meetings were cancelled. The ban was lifted 7 November but by Thanksgiving Day, the epidemic was strong again. Hospitals had filled with patients and hotels were put into service to house and isolate the flu victims. Public health programs were put in to effect but by mid-December, there was a severe shortage of hospital beds, schools were ordered closed, all public meeting places were closed and churches were banned from allowing children under age 16 to enter. Fredrick died on 22 December of the Spanish Flu, complicated by pneumonia. Children Ira and Cora died of the same the next day and all were buried on Christmas Eve, in the Georgetown Township Cemetery. 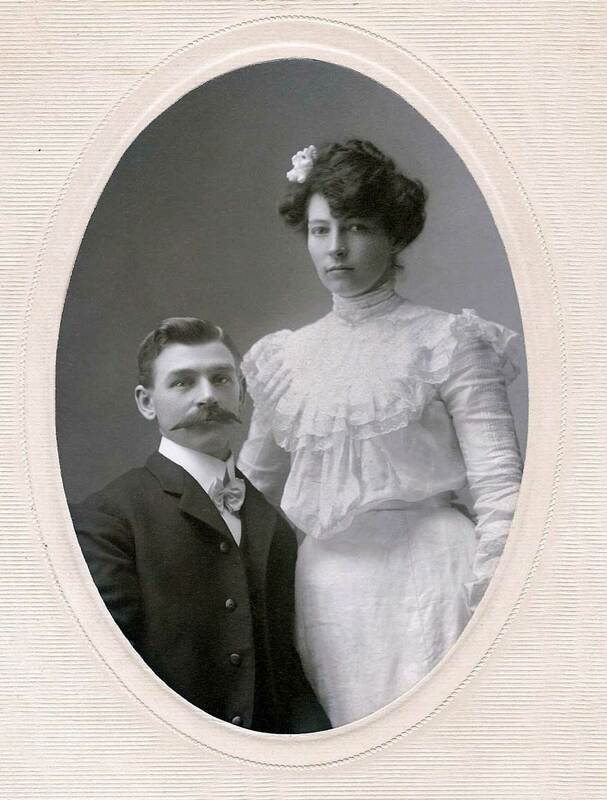 On 23 March 1914, Lawrence and seventeen year-old Vada Mellen were married at the courthouse in the county seat of Grand Haven by the Reverend Ollis of the Congregational Church. Vada was the daughter of Francis Mellen and his wife, Carrie Pierce Kelley. That marriage marked the first Dutch/non-Dutch union in Lawrence’s paternal ancestry; his mother’s ancestry had long lived in the United States, comprised of British immigrants who arrived in Colonial New England in the early 17th century. On October 20, Kenneth Fredrick Yonker was born. Lawrence registered for the United States draft of men for service into World War I on 5 Jun 1917. He declared on that form that he was short in stature, had sandy colored hair and blue eyes. Mother Gertrude suffered with sorrow and ailments yet remained on the farm after the death of her husband and two children in December of 1918. Lawrence and his family moved in to help with his mother. On 01 September 1921, mother Gertrude succumbed to intestinal statis at the age of fifty-two. 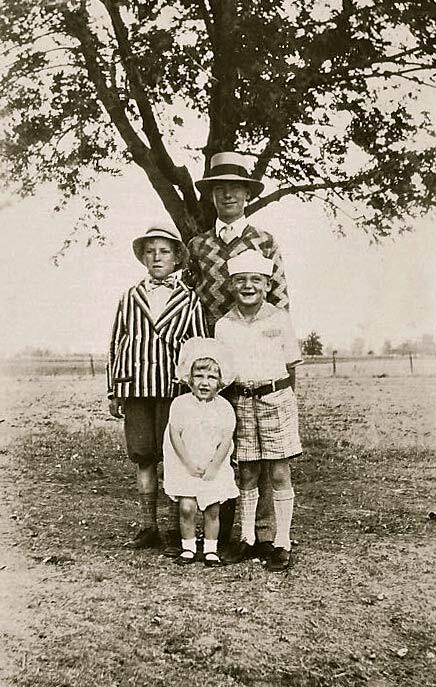 Others family members then took on parental rolls for the two youngest children; Gertrude was raised by her two aunts, Jennie & Kate Jonker; Lawrence took in his younger brother, Harold who was very close in age to his own son, Kenneth. Sadly, through a series of poor decisions, Lawrence lost the ownership of his parents’ farm. 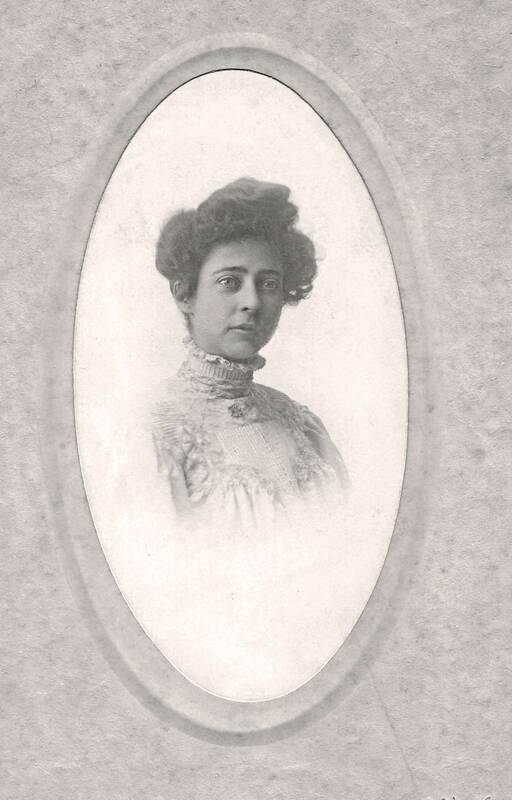 His young sister, Gertrude eventually went on to become a teacher and moved to Big Rapids, Michigan. 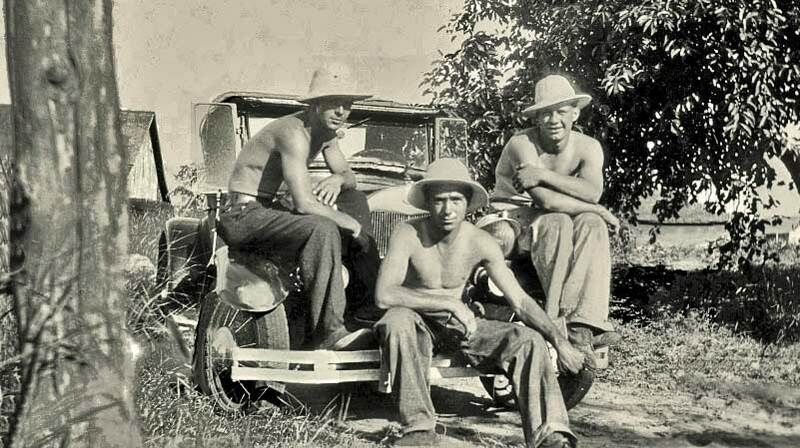 Younger brother Harold “Curly” was inspired by his Uncle Henry Jonker to study medicine but financially, it was not possible. Instead, he studied pharmacology and worked for many years for the White and White Pharmacy in downtown Grand Rapids. Vada and Lawrence added three more children to their family: Keith (born in 1920), Oliver (born in 1922) and Virginia Caroline, born in 1926. Lawrence enjoyed hunting and fishing; he often said that when fishing interfered with work, cut out the work! He worked a variety of jobs. In 1930, he was a porter for the Herpolsheimer’s Department Store in Grand Rapids. He was remembered as someone who knew how to clear land by blowing-out tree stumps with dynamite. Kenneth grew up in the city of Hudsonville, in a home which seemed to have little parental supervision. He shared numerous stories of his Tom Sawyer-like adventures. He once hopped onto a freight train heading west out of Grand Rapids for a free ride back home to Hudsonville, however, he fell asleep and woke up in Holland. In Chemistry class, he mixed the chemicals incorrectly and caused a fire in the classroom. One of his favorite stories was of giving a school bully a bit of his own by taking him on a frightening car ride through theâ school playground, up and over the teeter-totter that had been secretly pre-positioned. At the end of the ride, the bully left Kenn’s car, sickened to his stomach…and reformed. 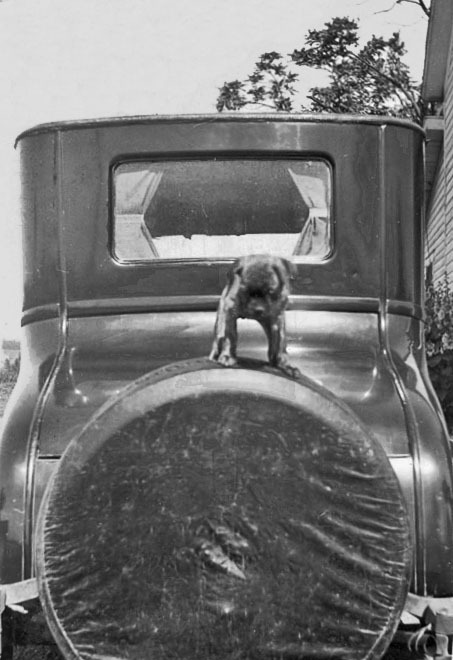 The family had a small, dark Pug dog; “Pug” became the nickname of his youngest brother, Oliver. Kenn had a variety of interests that took him into a variety of directions. While in high school, he played the violin and illustrated the Hudsonville High School newsletter. He enjoyed dancing, going to films and taking in the amusements at Ramona Park on Reeds Lake, East Grand Rapids. Kenn joined the Boy Scouts. However, he was not a successful student and would often drop out of school only to be persuaded by one of the athletic coaches to return…Kenneth was a good athlete and enjoyed playing baseball and football. One of his friends and team mates was John Abel, a very good athlete who came into Hudsonville from his family farm in Georgetown Township. It was John who introduced Kenneth to his younger sister, Irene Abel. Kenn and Irene were separated in age by four years but they were able to graduate from high school together. 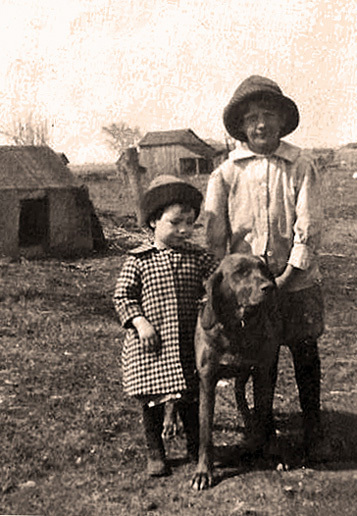 Kenneth’s sporadic attendance slowed his progress and Irene gained a year in school when the teacher in her one-room school house decided to omit a grade one year. He worked at various jobs including the local gasoline station. After graduation, he moved further afield in search of work. Kenn worked with the Civil Conservation Corp (the CCC), planting trees to preserve the ground soil. He picked fruit and painted the Hudsonville water tower. In the late 1930s, he moved to Racine, Wisconsin to work, boarding at the home of Mrs. Lameer’s home. He drove taxi. During the early years of their marriage, Kenn drove for Greyhound Bus, served in the Ottawa County Sheriff’s Reserve Unit, drove school bus in the early 1960s in Park Township, varnished pleasure boats at Chris-Craft Marine in Holland and eventually, worked for Charles Conrad at Conrad, Inc. on Holland’s north side which built testing chambers. A large fire burned the factory to the ground in 1959. Mr. Conrad re-hired Kenn as his first employee when he started a new business on the south side of Holland in 1961, on Washington Street. Kenn was responsible to clean and refit the small abandoned building into a factory that would soon become Thermotron Industries. Kenn worked at Thermotron, building glass windows for the environmental testing chambers until his death. Two sons were born during World War II, Douglas (named in honor of General Douglas MacArthur) in 1941 and Gerald “Jerry” born in 1943. Irene taught elementary school for over thirty-four years, on the north side of Holland in the district which would one day become the West Ottawa School District. 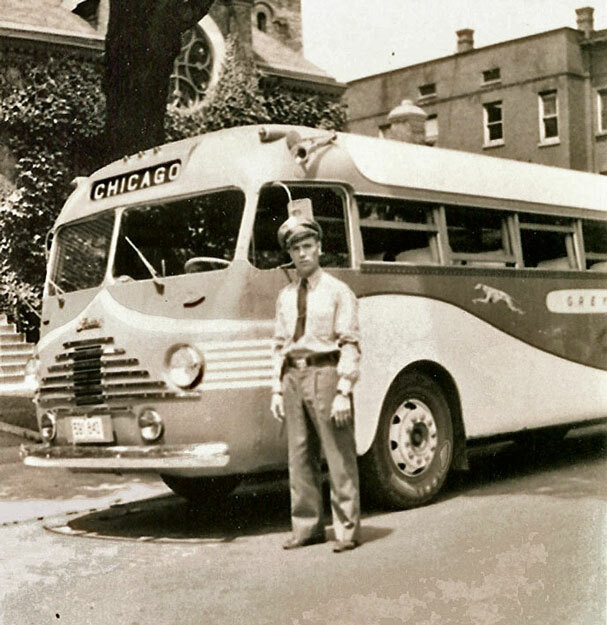 During the war, Kenn drove troop transport buses for the government. Kenn and Irene decided that some form of summer work needed to be done to keep the family busy during that long break from school. 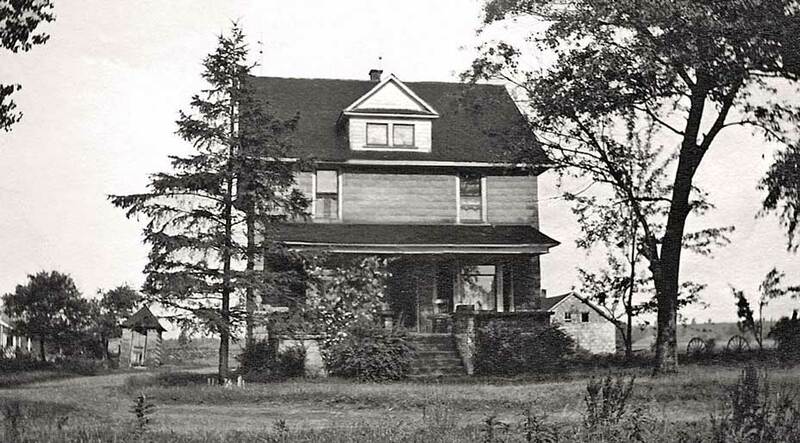 In 1954, they bought .. acres of unkempt land on Greenley Street in Park Township. The land was cleared and the family planted row after row of young blueberry bushes. The next year, Irene gave birth to a daughter, Debra. 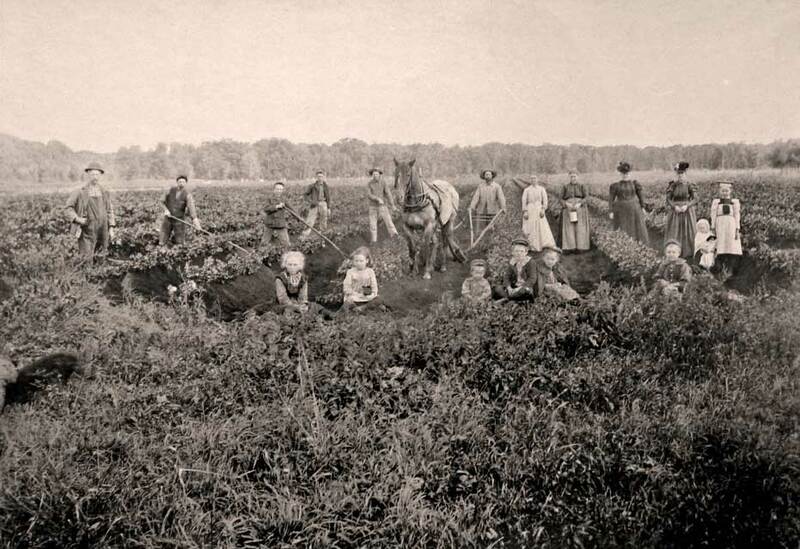 The Kennygarten Blueberry Farm provided summer work opportunities for many local school children for many years. The farm grew to a full twenty acres of several varieties which were harvested throughout the summer. Kenn continued to work various jobs but his summers were devoted to the farm until his death in 1977. He always worked hard and was very talented at many skilled trades. Like his father, Kenn enjoyed hunting and fishing. Later in life, he enjoyed team bowling and golfing. He was a musical man, playing violin in high school and piano/organ throughout his life. His talent as a whistler took him to Chicago’s WLS Radio talent show but in his nervousness, his whistle would not work! He learned oil painting by correspondence course and used photos of his family for study. I am so very proud to be his daughter. Wonderful story, Deb! You have some really great family pictures. 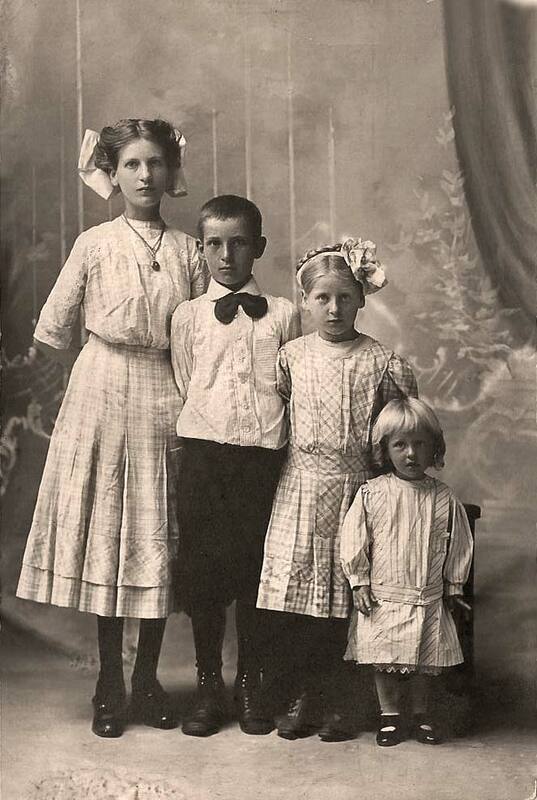 I can’t imagine a professional photographer taking pictures like that back then – sure wish we had some for the Abels. Keep up the good work!